There are some aspects of homesteading that are definitely more challenging for those of us who live in suburban areas with small yards, but if you have maple trees in your backyard and you have the right climate, then learning how to make homemade maple syrup is a simple process that’s easy for a suburban homesteader to do. Making your own homemade maple syrup is a great way to know that your syrup is pure and organic, and it’s also a way that you can save some money since the supplies you need are usually not very expensive if you’re tapping just a few trees and producing syrup on a small scale. And since good quality maple syrup can be pretty expensive, it can be economical to make some of your own. 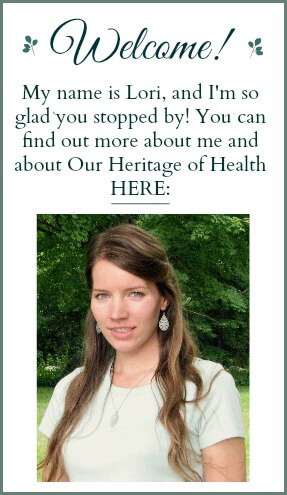 And besides that it’s just really fun to taste syrup that you made yourself from the trees in your backyard! Sugar maples usually tend to be the preferred maple tree to tap because of their high sugar content in the sap, but you can tap any kind of maple tree, so if you don’t have any sugar maples in your yard, or if you’re not sure exactly which type you have, you can definitely still tap other maple trees too. 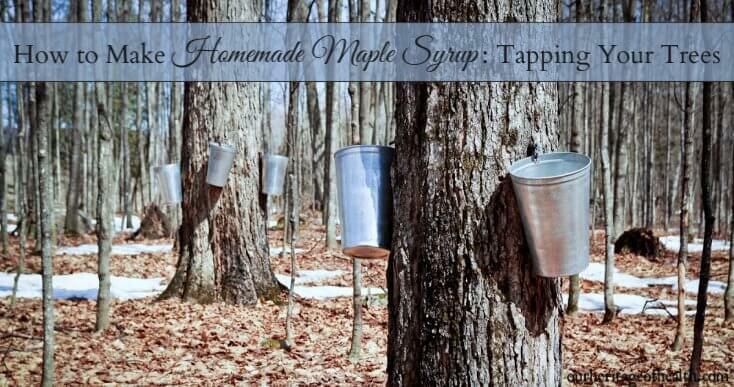 The only difference is that you might have to boil down the sap for longer than you would for a sugar maple. If you want to see some pictures of the different types of maple trees, this guide has some good photos and helpful tips for identifying maple trees. Once you’ve identified your maple trees, you need to check to make sure that the trees are mature enough and healthy enough to tap. You don’t want to tap a tree that is too young because it could end up damaging the tree. It’s also a good idea to only tap trees that look healthy, so if your tree has lots of dead branches then it might be best not to tap it. For determining the maturity of the tree, you need to figure out the diameter of the tree. (And I have to admit that I had to look this up on Google because high school math class was a long time ago and I was never mathematically inclined to begin with . . .) So, what you need to do is to take a measuring tape and measure around the tree trunk about 4 1/2 feet up from the ground to find the circumference. And then you take that circumference and divide it by Pi or 3.14. If your tree is fairly young, then you can only put one tap and bucket on that tree, but if your tree is mature, then you might be able to put two taps in it. The best time to tap your trees can vary a lot depending on the individual season and the weather. The sap will flow the best when the nights are cold (ideally in the 20s) and the days are warming up into the 40s. 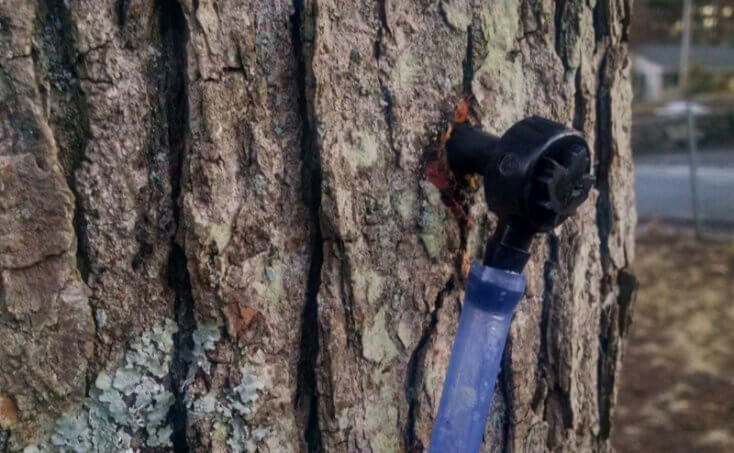 There’s some debate in the maple syrup world about whether it’s better to tap earlier or later and about whether it’s possible to tap your trees too early and have the sap holes dry up before the end of the season. The experiments mentioned in this article, though, seem to indicate that for most people it wouldn’t be a big problem to tap the trees earlier rather than later. 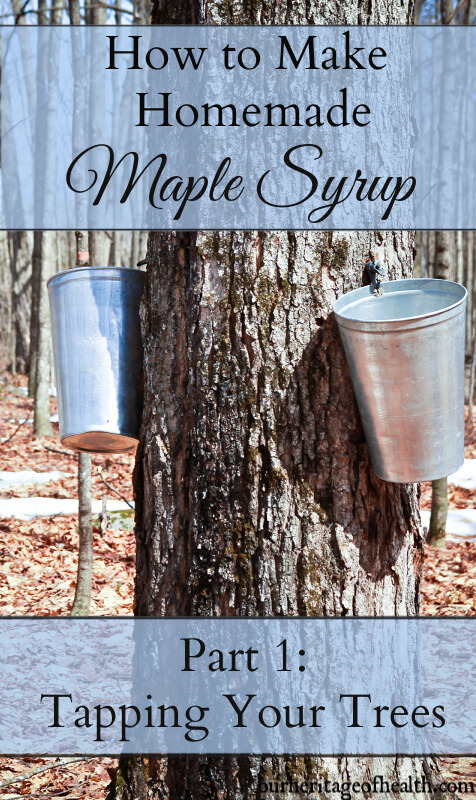 Making homemade maple syrup can either be something that is very simply done with just a few supplies if you only have a couple of maple trees in your backyard, or it can be something that involves lots of supplies and expensive evaporator machines, etc. if you have a large amount of trees you are tapping. 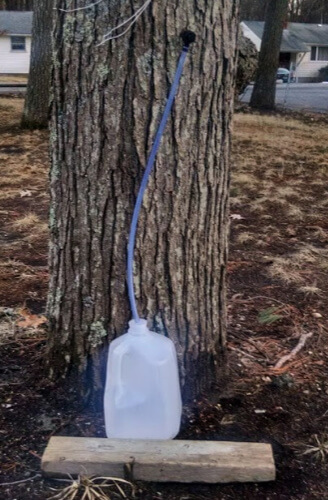 For me with my three backyard maple trees, my total cost of supplies was just $11 for the taps and then I used some empty water jugs to collect the sap in. For a much more old-fashioned and traditional look you can use metal taps and metal buckets, but unless you already have buckets that you can use, they cost more than then plastic tubing does. Taps (also called spouts or spiles) These are the ones that I used or you can get metal ones like these. Either plastic drip hoses (which usually come with the taps) and old water or milk jugs to collect the sap if you’re using plastic taps, or you can use metal buckets to collect the sap if you’re using the old-fashioned metal taps. It’s usually best to drill your hole somewhere around 3 feet high, but you can make it a bit higher or lower depending on what is a comfortable height for you and, if you’re using a tap with plastic tubing attached, you want to make sure that the hole isn’t so high that you can’t rest a jug or bucket on the ground to collect the sap. The south side of the tree is usually the best for tapping since that’s the side that will get the most sunlight, but if for some reason you can’t access that side of the tree you can tap the other sides too. The hole should be between 1 1/2 inches and 2 inches deep. To make it easier to tell how deep your hole is, you can measure your drill bit and mark it at 2 inches and then make sure you don’t drill any deeper into the tree than the mark. When you drill your hole, you should try to make it as straight as possible, and drill at a slight upward angle into the tree so help gravity pull down the sap. 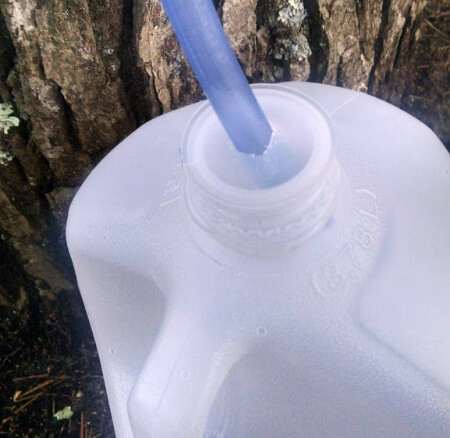 Once your tap is in place, you can set up your sap collection jug or bucket. If you’re using a metal bucket, you can simple hang the bucket in place over the tap (and if you want to you can also put a cover over it to help minimize the amount of sediment that falls into the bucket. If you’re using plastic tubing, you can either put a bucket underneath and tape the tubing to the side to make sure that it doesn’t blow out of the bucket, or, if you’re using an old water jug or milk jug, you can cut a hole in the center of the cap and feed the tubing through that. This is what I usually do and it works very well to make sure the tubing stays inside the jug, and it also helps to keep sediment out of the jug. It’s usually a good idea to check on your sap every day if you’re able (or at least every other day) because you’ll have some days where it seems like there’s hardly any sap to collect and then the next day you might have so much sap flowing that it’s almost overflowing your container. Even though sap looks like water, it’s sort of like milk where you can’t leave it out too long or it will go sour. If the temperature outside is really cold then you can leave it out, but if it’s warmer than your refrigerator is, then it’s best to collect whatever is in your buckets and bring it inside. Sap should be stored in the refrigerator until you’re ready to boil it down into syrup because it will spoil if you leave it out at room temperature for too long. If you have a busy schedule and don’t have time to boil your sap as soon as you collect it, you can leave it in the fridge for up to a week and boil it at a time that’s convenient for you.